The Linear Drain Channel is an easy and effective way of removing unwanted standing water into a domestic drain. The protective grate is high-heel and child friendly, and the product sits flush with the floor, allowing for the passage of vehicles on a driveway. 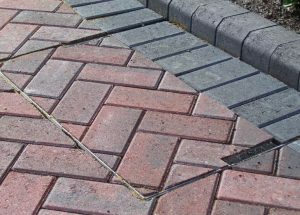 They can be fitted on driveways, patios and paths around the home and will work with any type of paving from block and flagstones to tarmac or concrete. 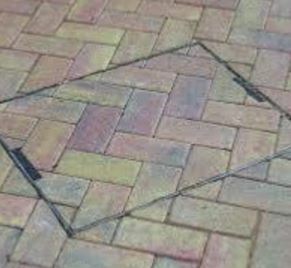 Recessed tray covers , sometimes referred to as “Inset Covers”, are used within paved area to diguise the presence of manholes, inspection chambers and access fittings. Within an area of decorative, coloured or natural stone paving. They are invaluable, especially with the look of the covers commonly used in modern construction.